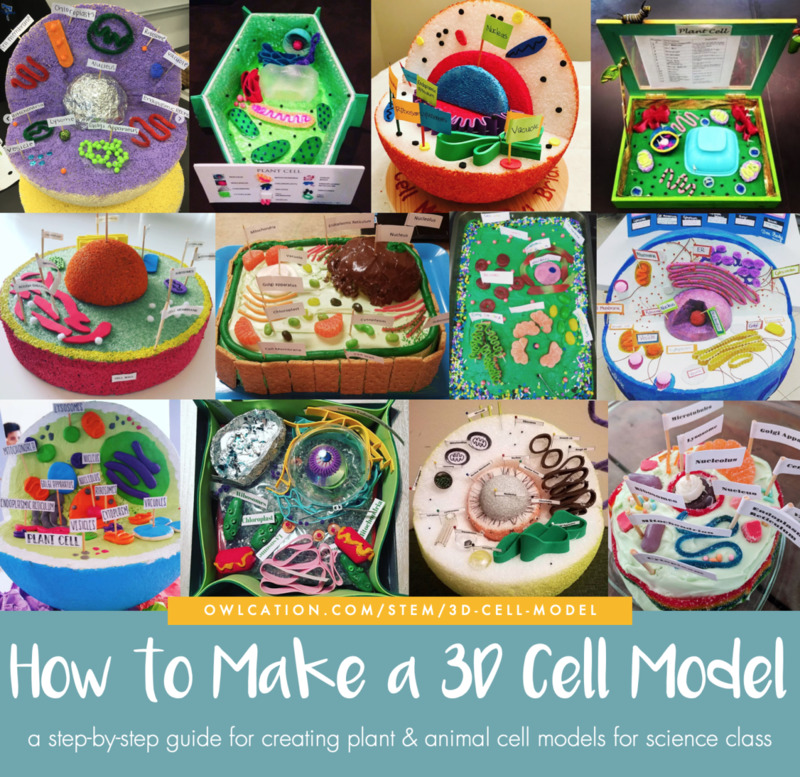 I'm a former middle school science teacher who has made and graded hundreds of plant and animal cell models over the years. A step-by-step tutorial for creating 3D plant and animal cell models. 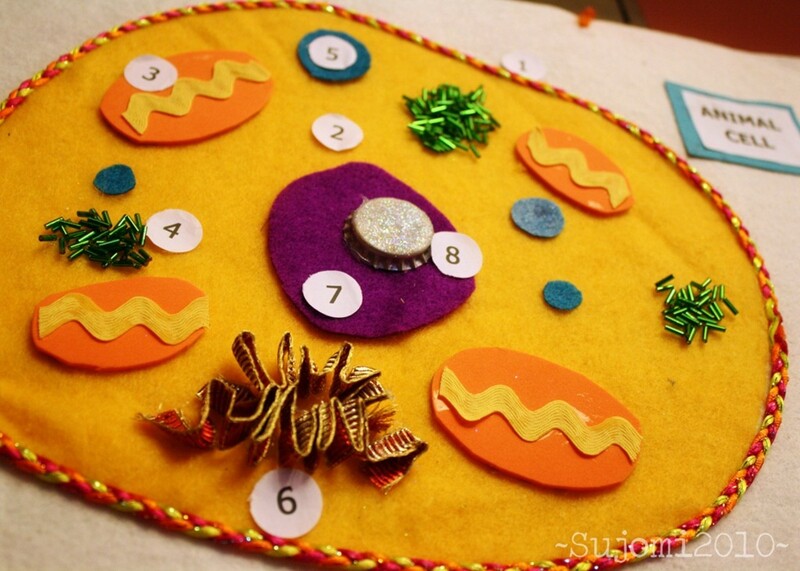 Learn About Cells the Fun and Easy Way! 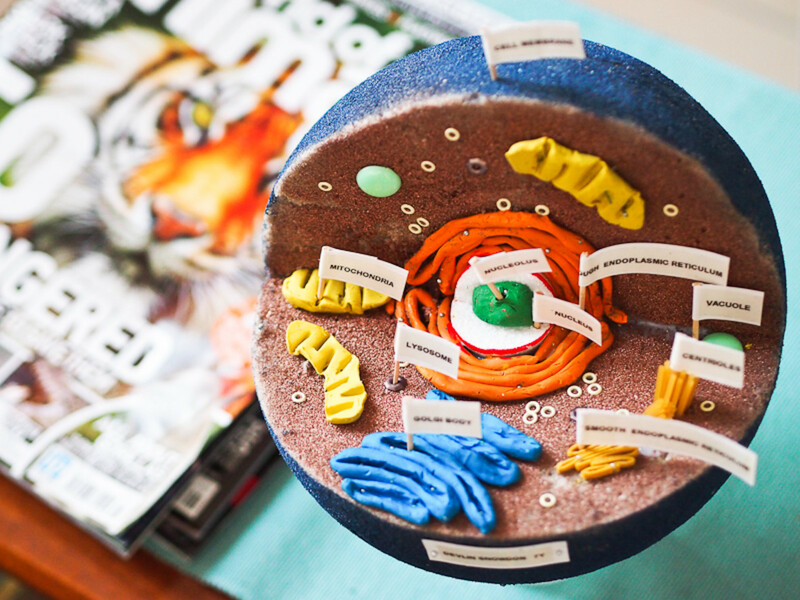 You don't need to be an award-winning painter, baker, or sculptor to create an awesome 3D cell model for science class—and have FUN while doing it! 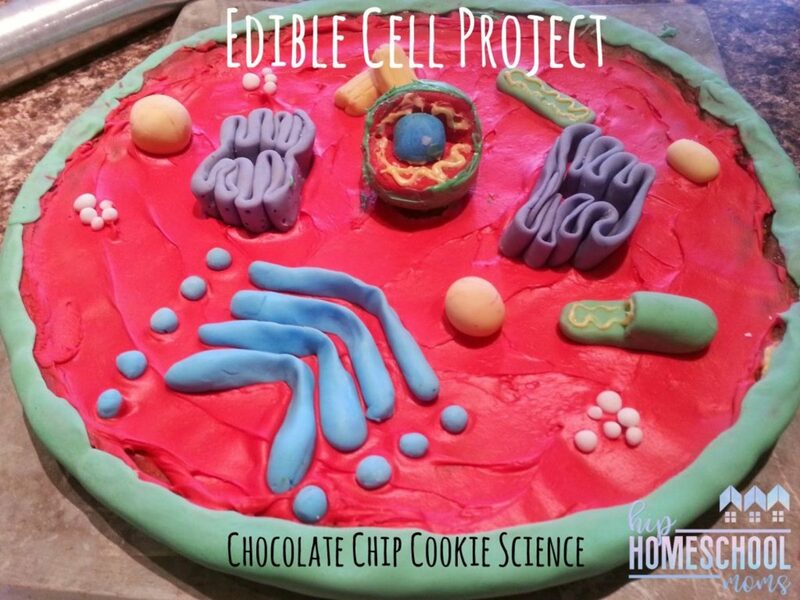 In this step-by-step guide, you'll find a complete list of plant and animal cell organelles, suggestions for edible and non-edible project materials, how-to videos, and photos of cell models to inspire you. 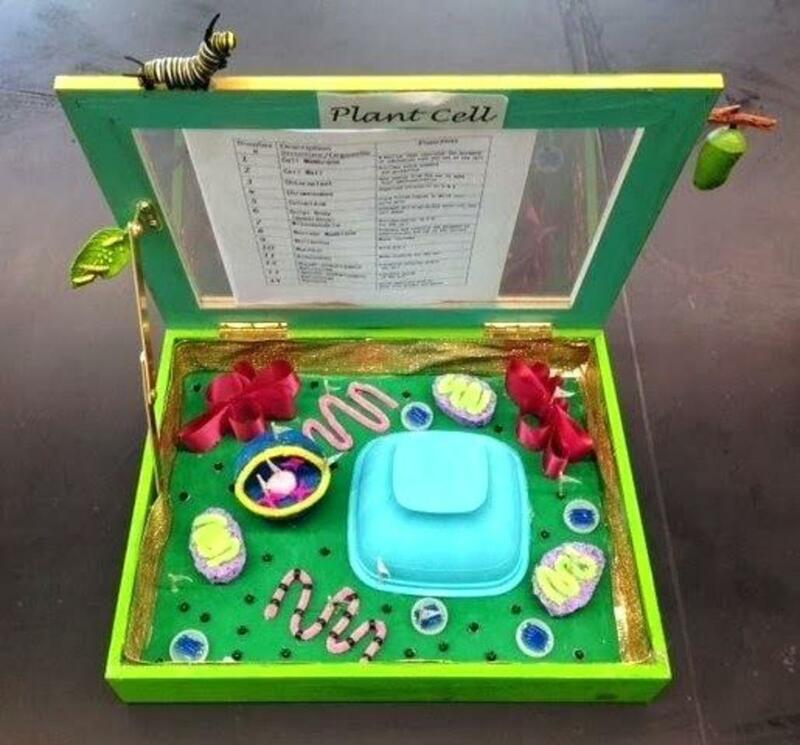 Whether you're building this model for science class, a science fair, or a homeschool project, your 3D cell model is sure to impress. 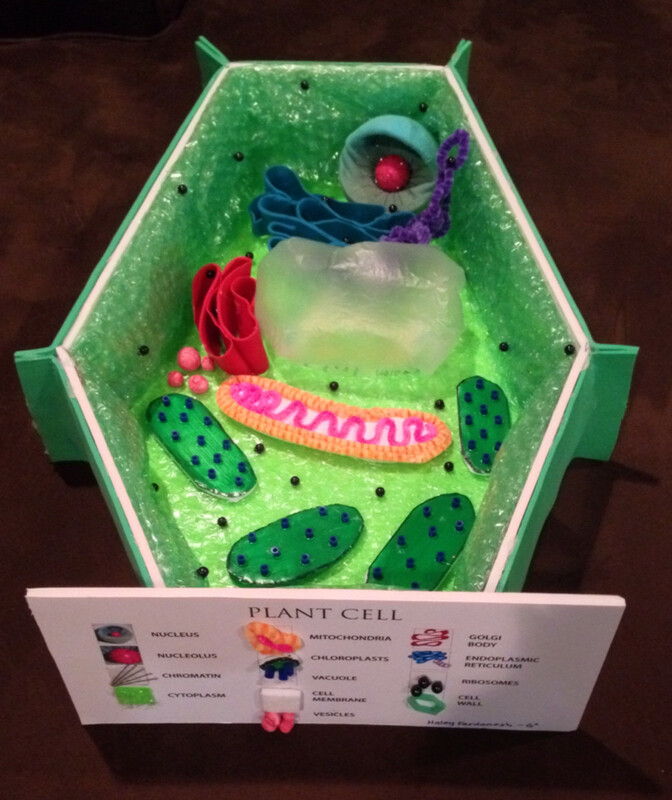 First and foremost, you need to decide whether you will create a plant cell or animal cell. Plant cells and animal cells are shaped differently and contain different parts. The best way to decide? 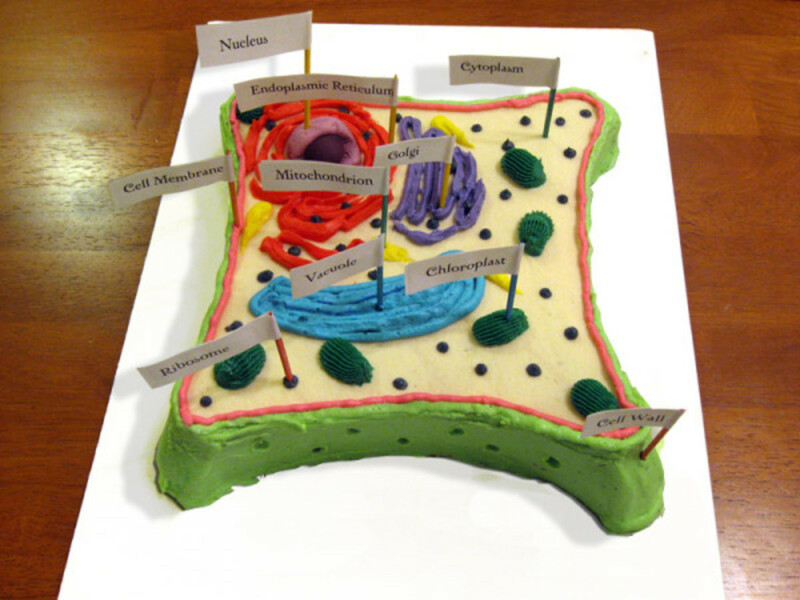 Take a look at some cell diagrams on an interactive site like CellsAlive.com. 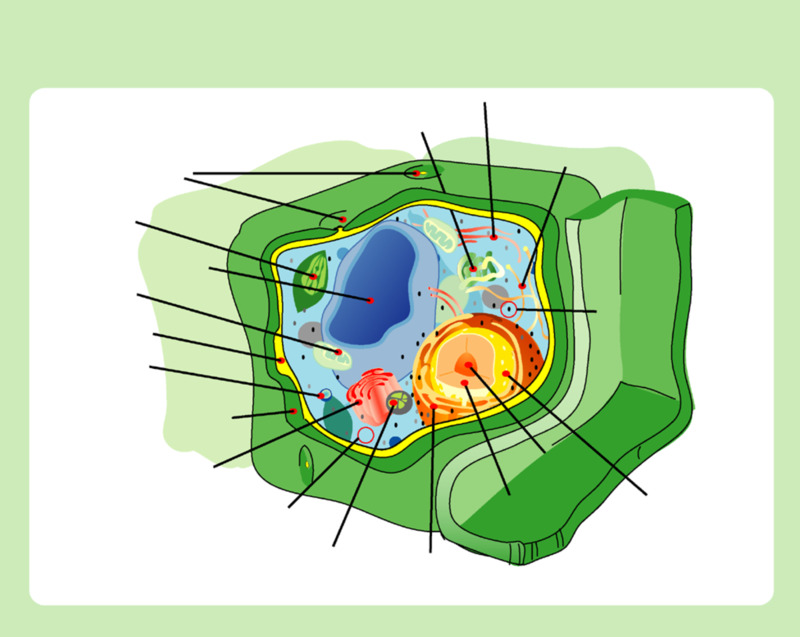 This site offers awesome animations of both plant and animal cells with descriptions of each organelle. 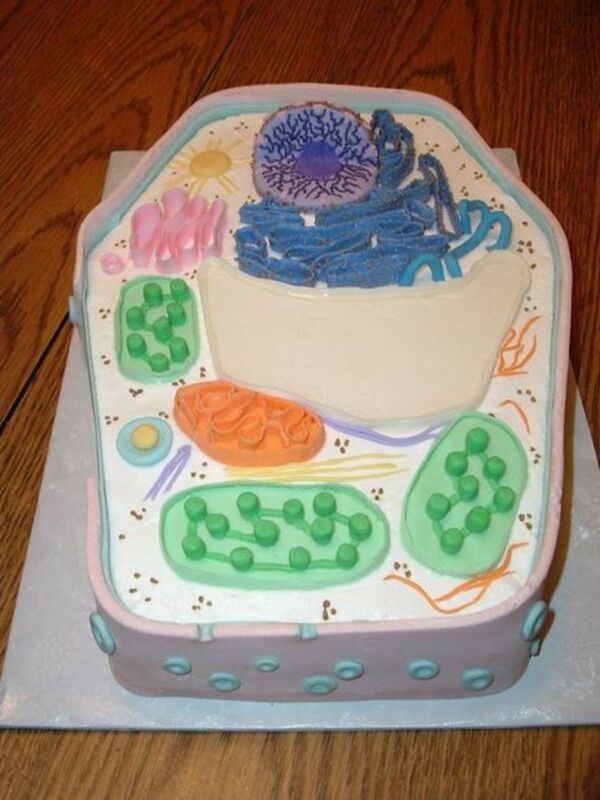 Next, you should decide whether you want your cell model to be edible or not. 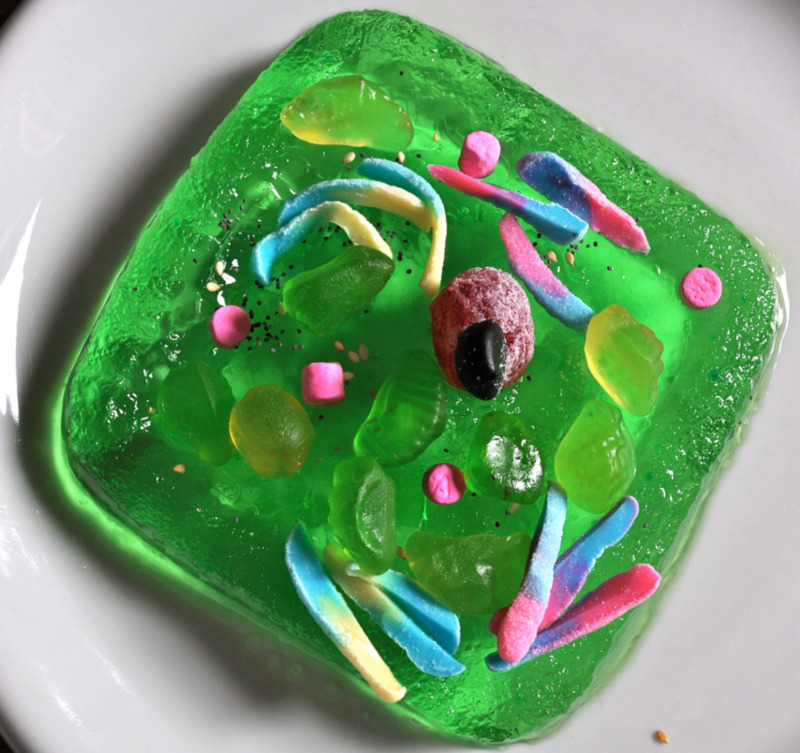 Edible cell models can be eaten (yum!) and are often made with cake, large cookies, Rice Krispie Treats, Jell-O, berries, or candies (e.g., M&Ms, gummy worms, jelly beans, etc.). 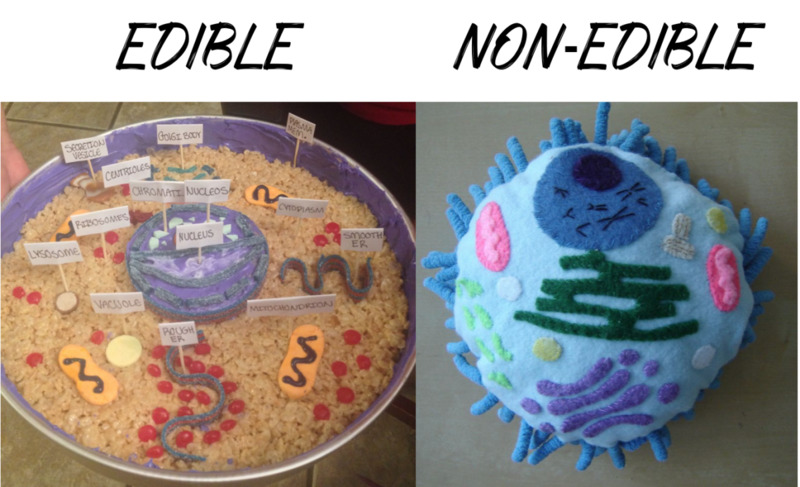 Non-edible cell models cannot be eaten and are often made with everyday craft supplies like styrofoam, pipe cleaners, shower gel, string, Play-Doh, or modeling clay. There are pros and cons to each type of project. Consider how much money you want to spend, which supplies you already have in your home, your teacher's requirements, and the length of time your project will be on display (edible items may eventually rot, smell, or attract bugs). Also, consider your plans for after the school project or science fair is over. 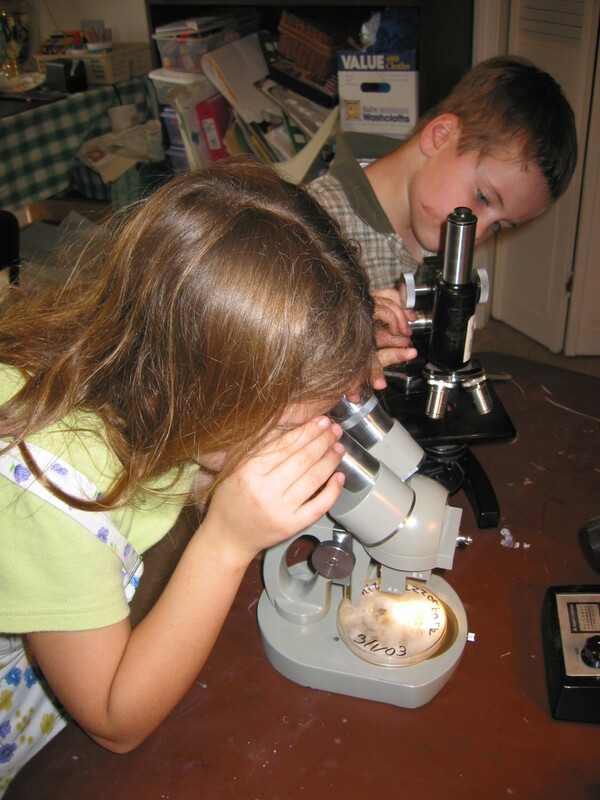 Do you hope to save the cell model in the basement or garage with other treasured mementos? Weigh your options carefully and choose your project accordingly. 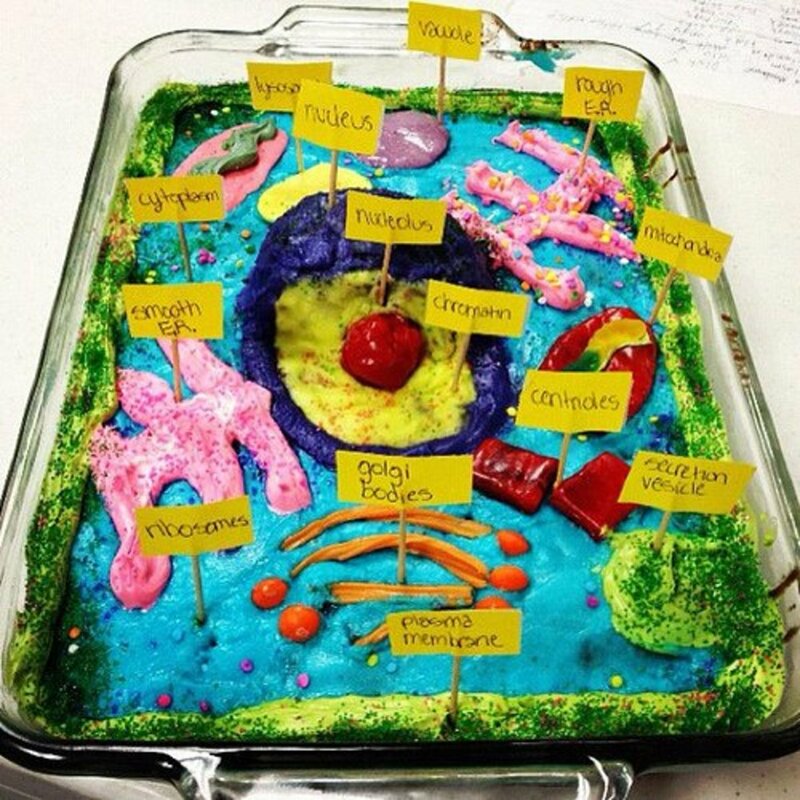 Tip: If you are building your 3D model for school, check with your teacher to make sure an edible cell model is ok before you take the time to make it! 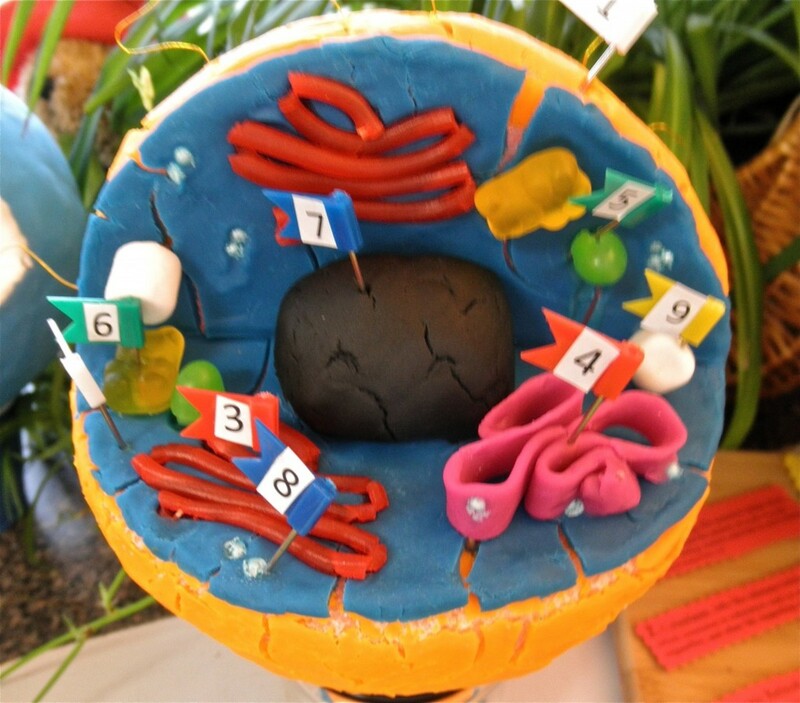 Decide whether your cell model will be edible or not. 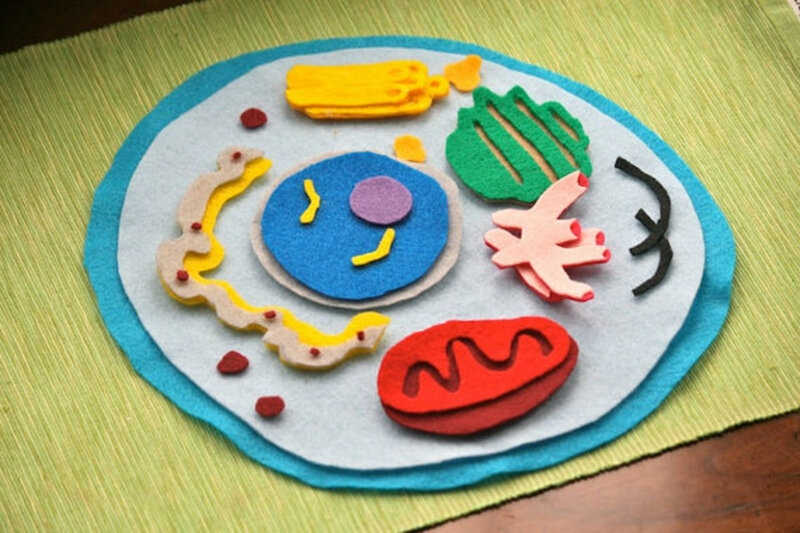 Now you need to make a list of all the parts, or organelles, that need to be included in your 3D cell model. 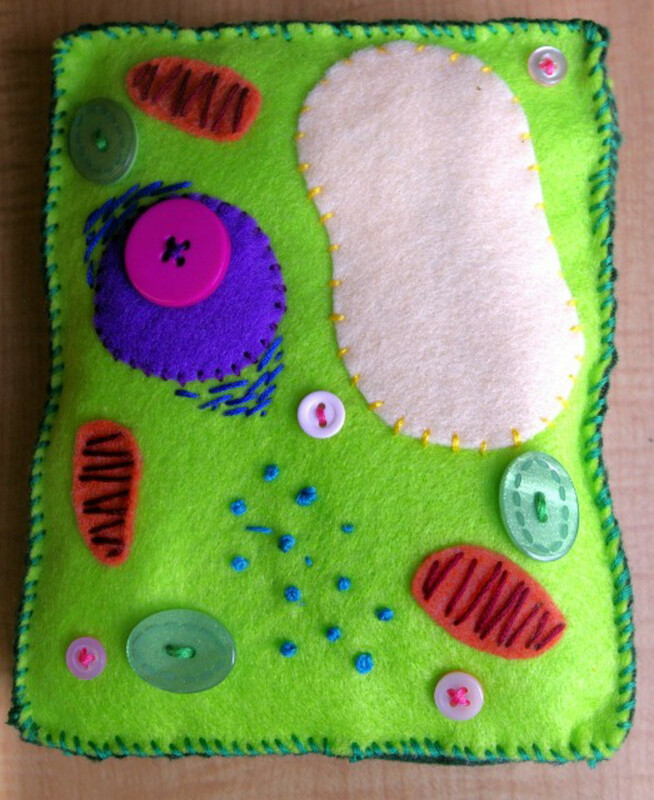 Organelles are the "mini organs" that are found inside every plant and animal cell. Each organelle has a different function and physical appearance, and together they work to keep the cell alive. While plant and animal cells share many of the same organelles, including the nucleus, Golgi apparatus, and mitochondria, there are a few key differences. Check out the chart below to see which organelles are found where. Here's where the real fun begins! It's time to decide which materials you will use to create each organelle. Hint: The best materials are ones that already look like the organelles you're trying to create. For example, the nucleus in any cell is always round, so a jawbreaker, bouncy ball, or orange would each make a great nucleus in your cell model. As you begin building, make sure to start with the base of your 3D cell model. Why? Because you need to know how big to make everything, of course! Once you've baked your cake, bought your styrofoam block, or sculpted your clay foundation, you can build those beautiful organelles. This is where your creativity can really shine—so have fun and don't forget to keep a diagram of the organelles nearby! 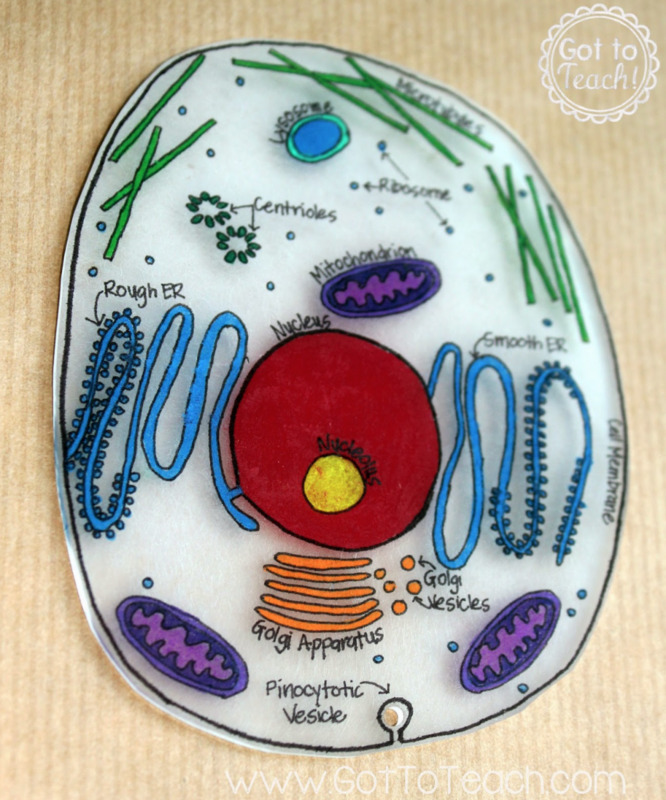 Having a diagram on hand will ensure that your cell model is not only super cool to look at but also scientifically accurate. 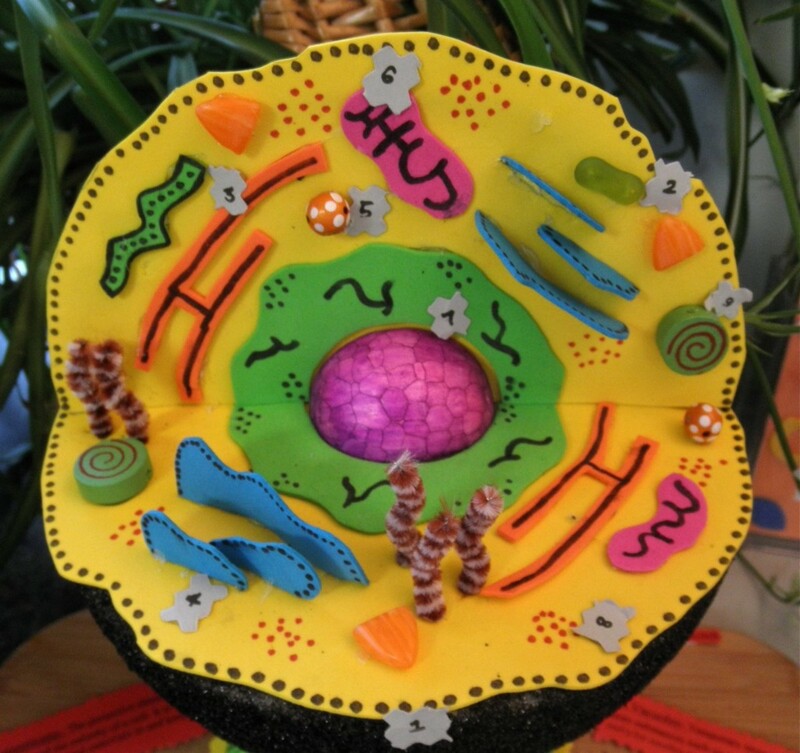 Once all of your organelles are securely attached to the base of your model, label the organelles. Toothpicks and stickers make great labels, and they let everyone know what's what on your cell model. 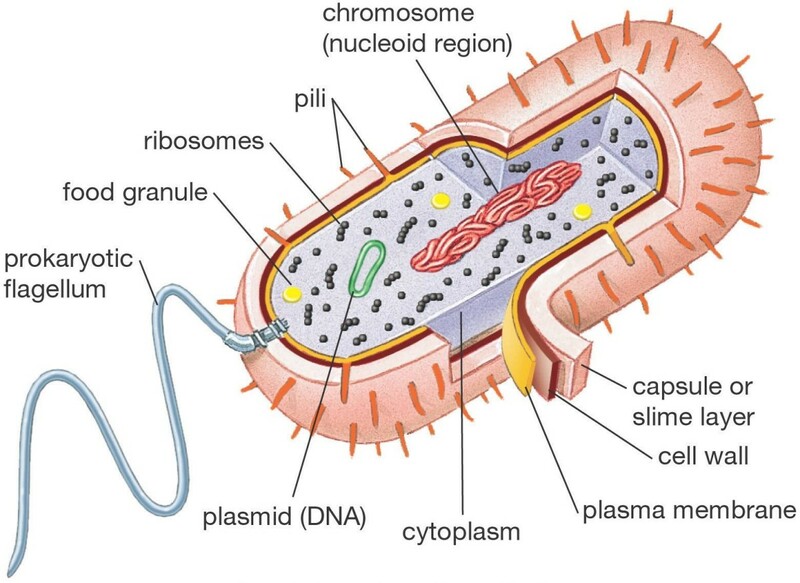 Organelle: Any specialized structure inside the cell. Cell Membrane: Composed of a double lipid bilayer, the cell membrane separates and protects the cell from its environment, regulates the movement of molecules in and out of the cell, and provides structure to the cell. Cytoplasm: The semifluid substance that fills the cell. All of the cell's organelles are suspended inside the cytoplasm. Nucleus: Where the cell's genetic information, or DNA, is stored. 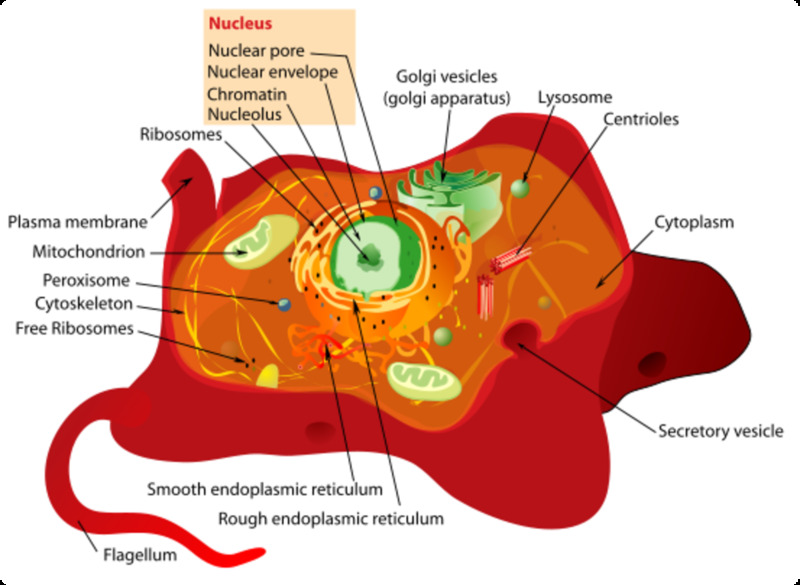 The nucleus is like the "brain" of the cell; it issues instructions about what the cell should do next. Nucelar Membrane: Also called the nuclear envelope, this is the membrane that encloses the nucleus. Like the cell membrane, the nuclear membrane is composed of a double lipid bilayer. Golgi Apparatus: Responsible for taking proteins and lipids within the cell and modifying, packaging, and transporting them via vesicles to other places within the cell. Also called the Golgi body or Golgi complex. Mitochondria: Responsible for energy production within the cell. The mitochondria generate a special energy molecule called ATP, which stands for adenosine triphosphate. Endoplasmic Reticulum: Similar to the Golgi apparatus, the endoplasmic reticulum (ER) serves as a center for the synthesis, modification, and transport of proteins. 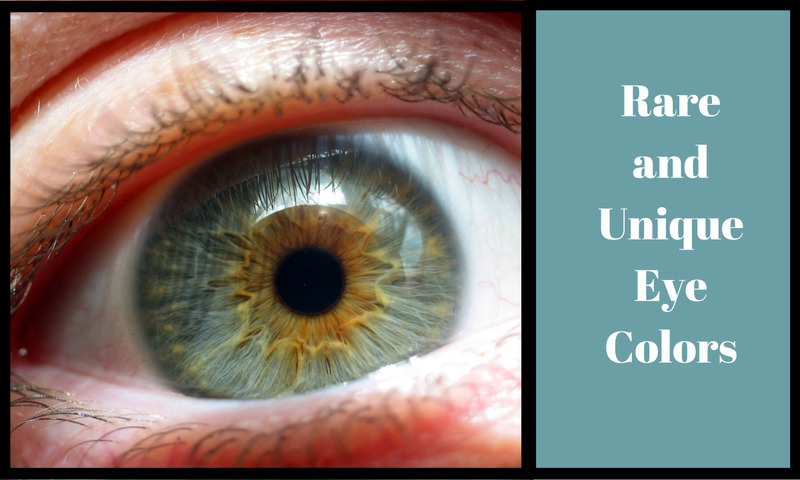 There are two types: the rough ER and smooth ER, which are characterized by certain physical and functional differences. Ribosomes: Floating freely in the cytoplasm, ribosomes are molecules that are responsible for synthesizing proteins. Vacuoles: Storage facilities for the cell. 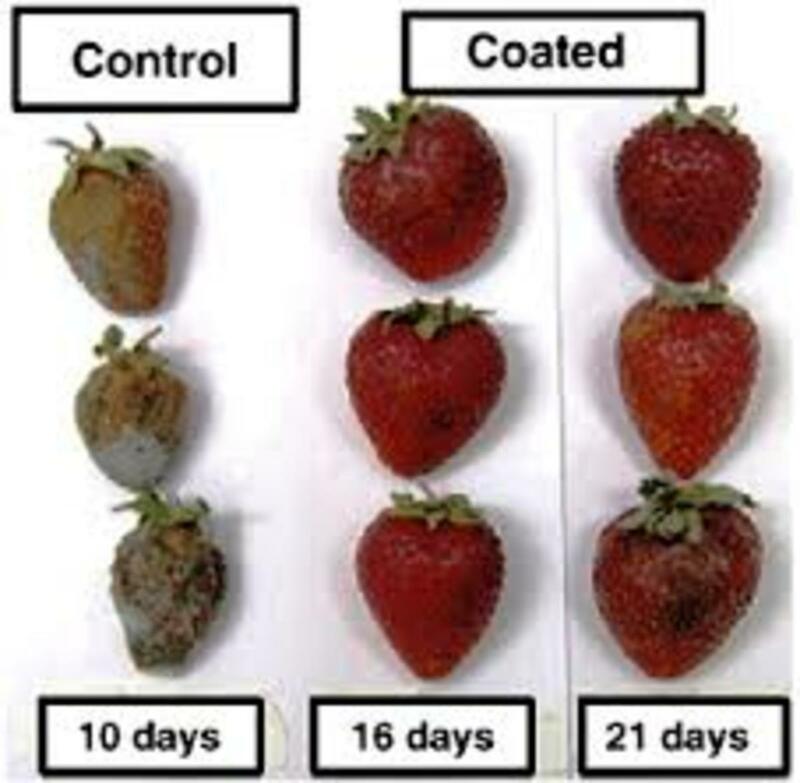 Vacuoles play a role in storing food and water, and they also facilitate detoxification (sequestering harmful materials) and the removal of waste products. Central Vacuole: Found only in plant cells, this is a large vacuole that stores water and helps maintain optimal turgor pressure within the cell. Lysosomes: As the cell's digestive system, lysosomes contain enzymes to digest (break down) macromolecules, old cell parts, and microorganisms. Lysosomes are found only in animal cells. Cell Wall: Found only in plant cells, the cell wall surrounds the cell membrane. The cell wall is stiff and rigid, and it provides additional protection and support to the cell. Chloroplasts: Found only in plant cells, chloroplasts produce food (energy) for the cell by converting sunlight, carbon dioxide, and water into sugars. This process is called photosynthesis. The sunlight-absorbing molecules inside the chloroplast are called chlorophyll. Are You Satisfied With Your School Project? 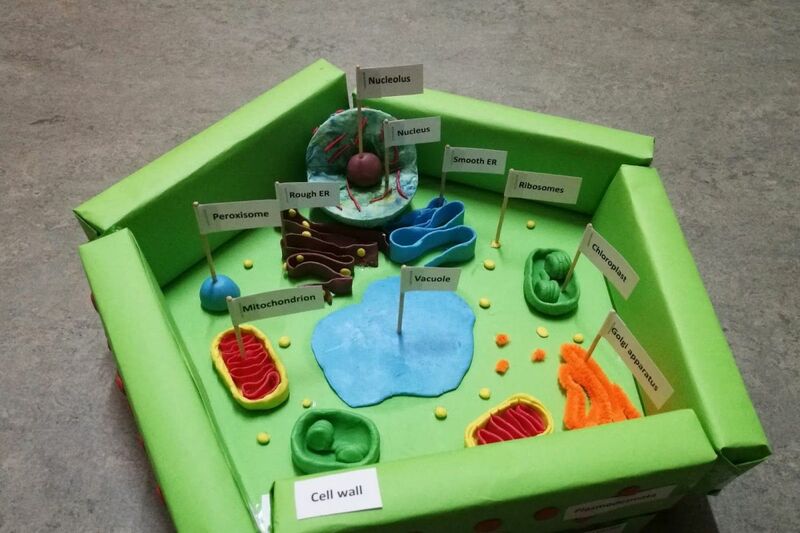 Now that you've completed your project, the time has come to admire the sheer brilliance that is your finished 3D cell model. 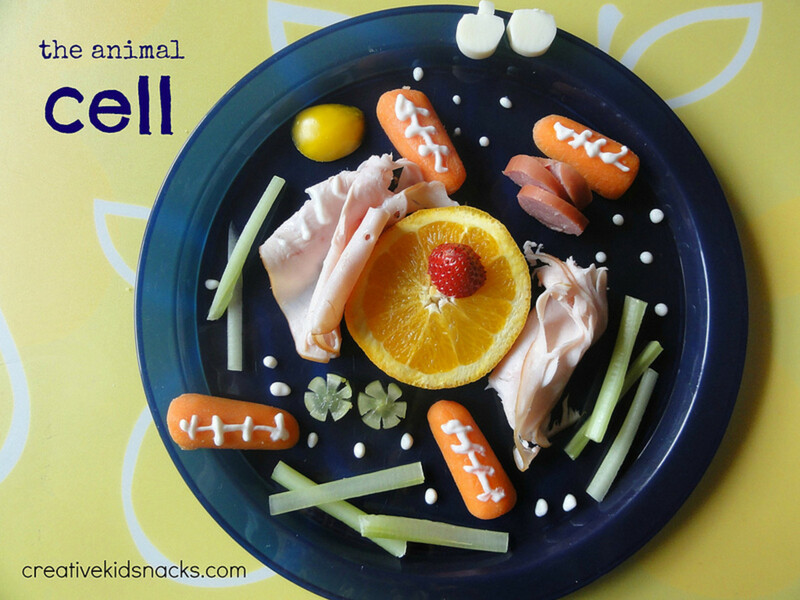 If you chose to make an edible cell model, it might also be time to break out the forks and spoons (after your teacher has had time to grade it, of course). Yum! Which type of cell model are YOU building? Why are you building a cell model? 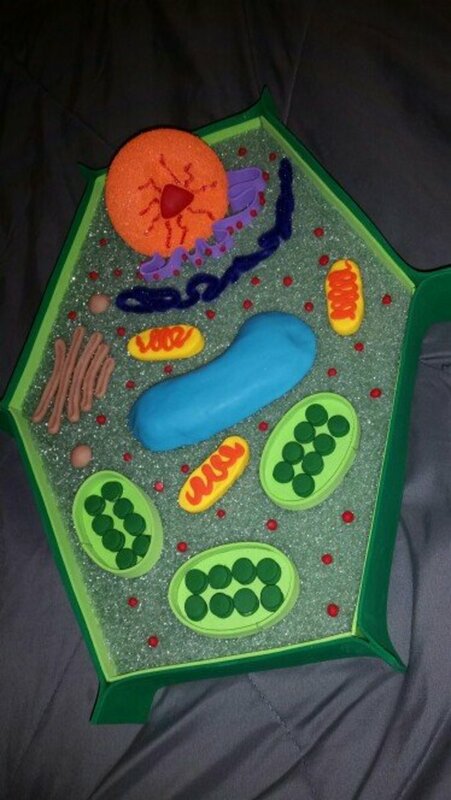 need help to make a 3d plant cell and animal cell model project. thanks. Hellose people and I want you to say that this really helped me and that it really worked, so I think I will get a good grade on this. I made this and threw it at my brother. Very good weapon. Lighting it on fire and sticking needles in it next time. Advised for bullies. a friend with a partner. this totally helped us with our idea for possible designs. not with a supply list, which is what i was looking for. perhaps add a supply list or a rough idea? that would help us much more than an idea for a design. You can use a round styrofoam ball cut 1/4 out paint it the colors above. And label it with the check list above use strips of paper glued to toothpicks to lable. this stuff looks super awesome, I can't wait to try it. This was some great ideas!!!!!! I have 1 weekend to do my/a 3D animal cell project due on May 1st. This really helped me get an idea of what I was going to do. I love these projects so much I acaullly use one and copyed it for my project thank you for your hard work to copy. thank you very much .I really appreciated because that really help me with my project and i will do the same thing as you guys did and i will tell you what i got for my project.Thank you and thank you very much ,God bless all of yall in here and hope you have a nice day.Reply and like my Comment for me and that really going to help me . This is great i will get an A+ for sure! Thank you for these great ideas! 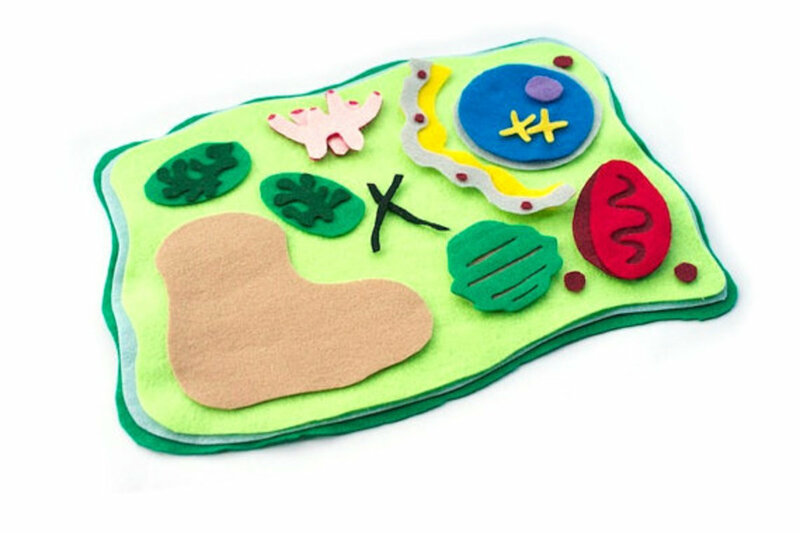 They will truly be beneficial to my granddaughter as she creates her own plant or animal cell. Thanks this helped a lot with my science project on 3d cell models. hey very weird how you found that, but it helped me so much. thank you!!!! I followed this and got an A+ on my project thanks so much!! I am trying to build a cell model of a melanoma cell. I can't find any images that show what the cell looks like. Any ideas? Not yet... Thanks a lot for sharing this wonderful lens!!! What a fun project! 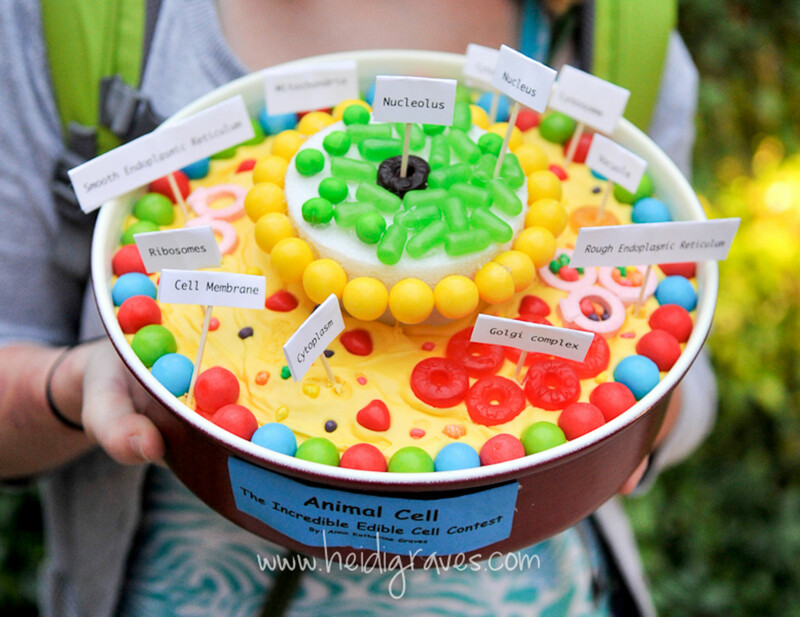 We are studying cells right now and I definitely plan to add an edible cell model to our list of activities. Another resource that you might like is PunFlay's "Cell and Cell Structure" app for the iPad. It is interactive, informative and presents the material in way that 5th-8th graders can understand. Great ideas! I'll keep this in mind for when my oldest starts to learn about cell models. @anonymous: Hey SarahStar. 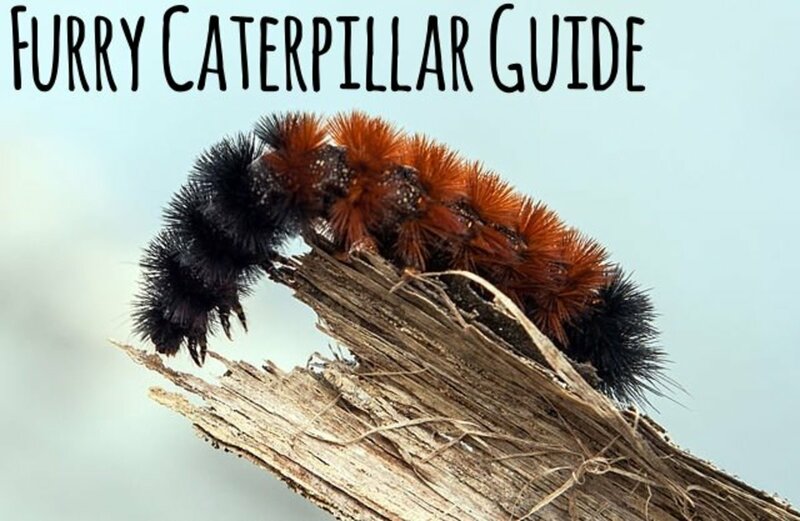 I'm happy to see this guide was helpful for you! :) I'm sure your teacher will love the project. 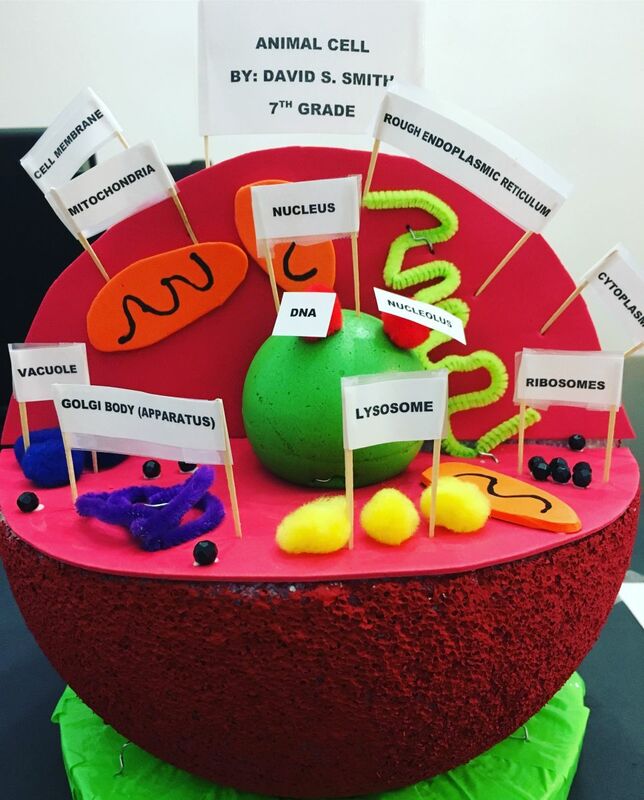 I had a blast making cell models with my students when I taught middle school science. Hi Rabbit. What exactly do you need help with? If you're building a non-edible plant cell like Emily above, I provided a detailed foundation for your project in my response to her comment. If you're putting together a different sort of cell model, let me know and I will help. 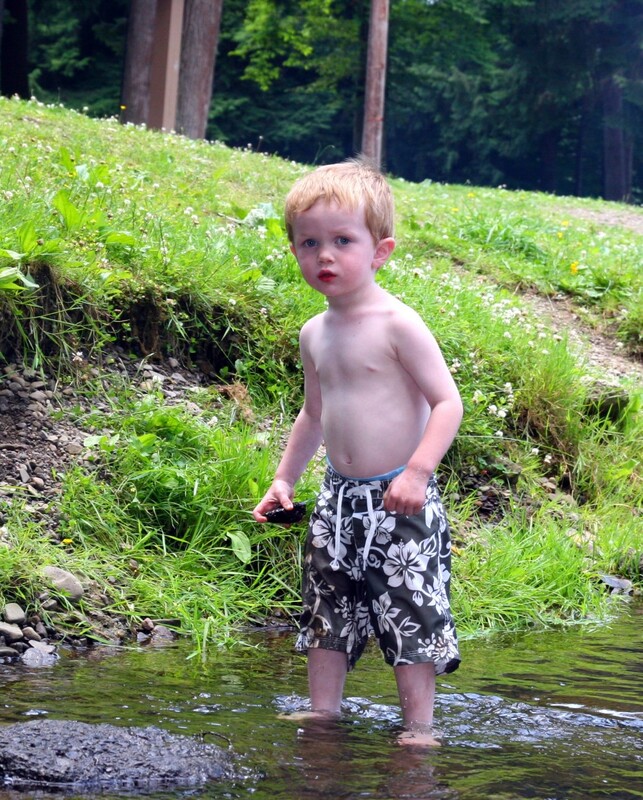 But remember, your own creativity is an essential learning tool. 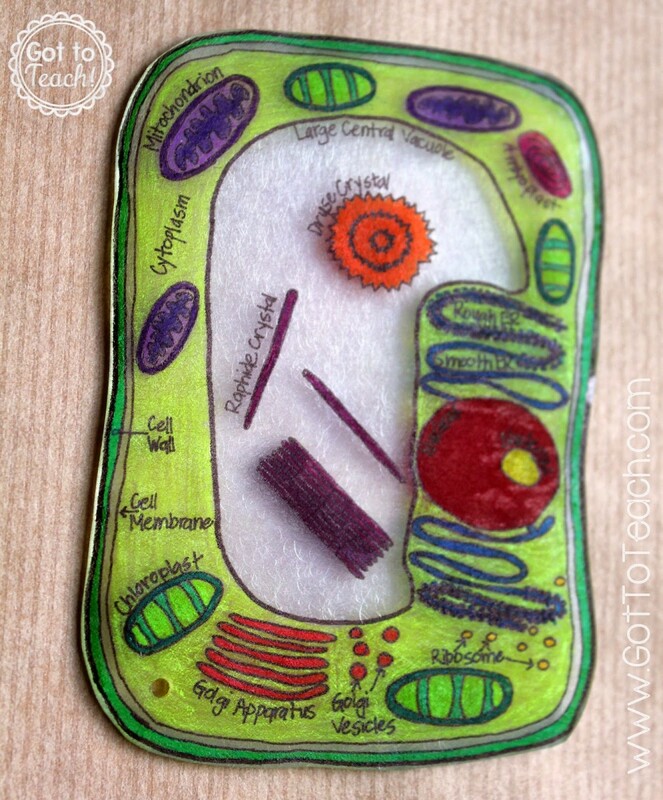 Looking for a guide that tells you exactly what to use for each organelle won't really teach you about the cell.